Evans Brothers, 1954, Hardback in Dust Wrapper. Condition: Good — in Poor Dust Wrapper. Unlaminated dust wrapper a little edgeworn and faded with chips and nicks, slight loss at the head of the spine. Gently bruised at the head, tail and corners of the binding. Edges of the text block lightly tanned. Text complete, clean and tight but a little age-tanned. From the cover: “The autobiography of the famous twins, begun in Our Cricket Story, continues in this book with vivid first-hand accounts of the historic 1950-1953 cricket seasons. 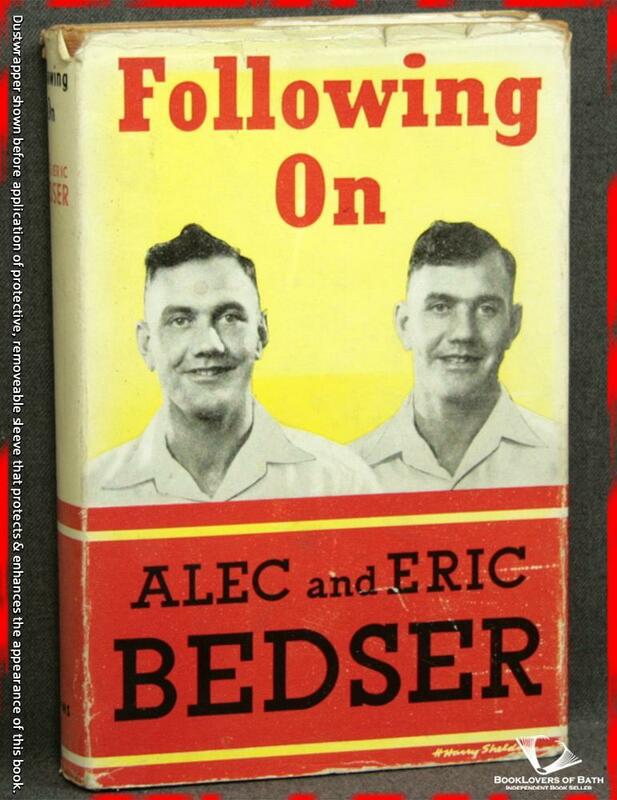 After describing the West Indian Tour of England in 1950, the twins tell of the Test Trials in which they found themselves in opposition to each other, Alec being in the England XI and Eric in The Rest; then begins a detailed description of the M. C. C. Tour of Australia and New Zealand, in which the inside story of both players and play is given, fairly and without bias, providing a new angle on one of the most controversial tours in cricket history. This is followed by such chapters as: The Springbok Tour, The 1952 Season Against the Indians, County Cricket, Benefit Season, The Aussies at Trent Bridge, The Lord’s Test, Old Trafford and Headingley and, of course, The Ashes — a graphic account of the England victory. Jacket designed by Harry Sheldon. Foreword or introduction by Lindsay Hassett. Size: 8" x 5¼". Orange boards with Gilt titling to the Spine. 240 pages.